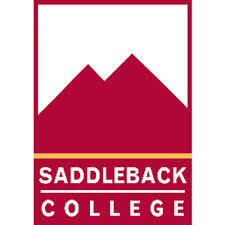 Saddleback College has been the first choice for higher education and training in South Orange County since 1968. Our more than 500,000 alumni can attest to the quality of our academic and career training programs that enable students to successfully achieve their educational, professional, and personal goals. Our rich academic traditions and strong reputation make Saddleback College an ideal place for students seeking associate degrees and certificates, transferring to four-year colleges and universities, preparing for the workforce, or pursuing lifelong learning opportunities.Saddleback College is fully accredited, offering over 300 associate degrees, certificates, and occupational skills awards in 190 program areas taught by a faculty renowned for its expertise, experience, and commitment to student success. Study abroad, cooperative work experience, online learning, and honors are just some of the additional programs we offer for a well-rounded educational experience.